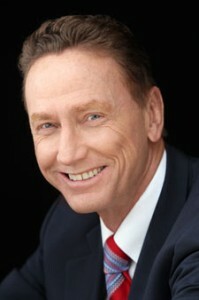 Thousands of books target business executives and promise to reveal the methodologies and science of change management. This isn’t one of them. This book was written for individuals such as you who want to see more positive results from personal and professional changes in life. That said, The 7 Keys to Change is a book managers should read to discover how to help themselves and their employees better manage change. Doing so is just good business. 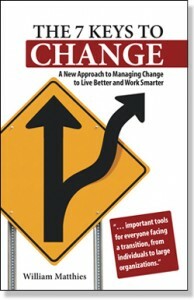 Granted, some may not see the difference between existing change management literature and this book’s purpose. Initially when I began this project, I didn’t see the distinction myself. However, I do now and am indebted to many authors of change management and planning books, with some being cited in this book. Without their perspective and ideas, I could not have reached the conclusions and recommendations I’m sharing now. But as with all topics, the goal of learning is to extend our knowledge and to build on the thoughts and ideas of others. So it is my intent that The 7 Keys will do that for you. However, before going further, I confess that I didn’t plan to focus on the process of change from the perspective of the individual; indeed, I didn’t plan to write a book at all. Nonetheless, that is what happened (which I now believe for good reason), and I am convinced that those who read the results of my four years of investigation and then begin to apply the lessons I’ve learned will be much more successful in bringing positive changes to their personal and professional lives. So if I didn’t plan to write a book, how did The 7 Keys come to be? I’m a business-planning consultant. My job is to help management create plans that will hopefully produce profitable new growth. But what if what I do doesn’t work? In spring 2008, I began to think about that a lot. I always follow up with clients a few months after the planning assignment is complete to check in and see how things are going. This includes talking about the specific goals and objectives the plan was meant to achieve and asking management how much of the plan actually happened. Generally, although seemingly content with the results, the reality is that very few clients have accomplished anything close to 100 percent of the plan objectives or goals, with some clients achieving 50 percent or less. To my surprise, no one seemed too upset by this. The clients cited many reasons that the results were not as expected, but “bad plan” or “bad consultant” was not among them. Everyone seemed pleased with what we had done months earlier. The lack of progress, they said, had to do with “changing market conditions,” “general economic challenges,” or “simply a lack of time to do what we need to do.” But was it really as simple as that? Some of my “consultant denial” (a protective shield that consultants naturally have, which helps us deflect responsibility to things and people other than ourselves) led me to conclude that most of this nonperformance was management’s fault, not the conditions management suggested. I knew the plan was good, the client said the plan was good, and the client had paid me. However, if it wasn’t me, the plan, or management’s ability to execute the plan’s provisions, what then? There had to be something more. Consultant jokes abound, and many are based on telling our clients what to do while not taking our own advice. As with any good joke, there is some basis in truth. There are (far too) many practicing consultants who have never held a line job. They have never had to make the decisions they now advise their clients to make, and whether they know it or not, many simply cannot relate to the hard realities confronting their clients each and every day. However, there is another group, of which I am a member, who in our past careers were on the “line” side of the desk. We know that with every important decision comes a potentially positive or negative result, and we don’t take this lightly. So, because I have been in my clients’ shoes, what should I be doing so that they might produce better results? and in those owned by others. I am a successful consultant, with most of my business coming from companies I have worked for previously. However all that would matter little if my clients were not achieving the results we had planned for them. Initially, I thought improving my consultation would amount to littlemore than reading a few books, gleaning the best information available, and simply adjusting my consulting methods accordingly. However, the investigation quickly expanded to include reading countless books and articles and talking with a long list of managers at private and public companies, from start-ups to large multinational companies, doing business around the world. I reviewed my own history, looking for what had and had not worked, hunting for clues regarding the process that leads to success or failure. Although the initial focus was on business planning and change management, this quickly expanded to include nonbusiness self-improvement discussions, psychology, and sociology—literally any subject I could think of that might in some way hold the key to improving the chances for success. Finally, I went so far as to commission original primary research with a representative sample of over 500 individuals, no doubt including many people such as you, to understand their thoughts regarding change. It soon became apparent that the concept was far more complicated than I had originally assumed. There would be no quick “one-size-fits-all” solution. I almost immediately saw that many of us in business had succumbed to false myths regarding planning and change and, as a result, had unknowingly erected barriers in our thinking that prevented us from achieving our goals. In my case, as a planning consultant, this not only limited my success but also spilled over to passively, negatively affect my clients. I say passively because technically and in practice, my responsibility ends with the creation of the plan. The execution of the plan provisions is the responsibility of management; if management was not getting the results we all hoped for, that was on them, not me. However, this all began because I wanted to become a better consultant. As a result, there would be no technicality about it. If the client was not achieving the results it wanted, the results I wanted for the client, I wanted to know why. Now, some four years later, my thinking has changed dramatically, and my consultation is the better for it. I clearly see the tight interaction between planning results and change management, for not only business but also all of us as individuals. And therein is the key. Many look at the process for bringing about positive change in business as being completely separate from what individuals should do to manage personal change. Prior to beginning this project, I did as well. However, with due respect to those who feel this way, that just is not so, and the continuing belief to the contrary largely explains why so little business or personal change occurs as is hoped. Whether you are a manager or an employee, my goal for this book is to help you see what is preventing you and your organization from achieving its objectives. However, of even greater importance, you will also learn what you must do to better address the personal challenges that affect all our lives. Make no mistake about it; the two are irrevocably linked. If you lack direction in your personal life, if you can’t identify what you want to happen or what you want to become, there is little chance you will be able to help your business or company identify and achieve its goals. Although this book frequently refers to business change, the critical lessons required to make positive change happen in business can and should, with little alteration, be successfully applied in our personal lives as well. Moreover, as you will soon see, successful change in business is simply not possible without the purposeful participation of employees who are at the same time individuals. Helping them proactively manage change in their professional lives is a requirement for business success in addition to helping them become more successful in their personal lives. Although change is inevitable, positive change resulting from proactive effort is not. Like most people, you have often been subjected to change you did not consciously initiate with results you did not want, need, or expect. You may have attempted proactive change and not achieved the results you wanted. In that regard, you are like all of us. Whether we are reacting to change thrust on us, or initiating change ourselves, getting the results we want is never assured or easy. However, there is good news: There is a better way. If you or your company have never failed in attempts to bring about positive change, congratulations, both for having succeeded where so many others have failed and because you have no need to read further. However, the fact that you have read this far suggests otherwise. For reasons you will soon understand, those companies that are largely successful managing change are few and far between. Indeed, large numbers of companies fail to even partially achieve their change goals much more often than they succeed, and, unfortunately, the results are no better and often worse in our personal lives. Part I of this book sets the stage for all that follows. It begins with a statistical look at how we all view change, followed by a discussion of the nature of change, the results of efforts to create positive business and personal change, and, finally, the reason learning how to better manage change is the single most important thing any of us can do. Part II describes the course of action (the seven keys) you can follow to create more positive change results in your professional and personal life.